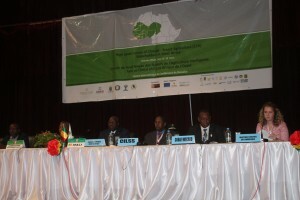 Organized by ECOWAS, UEMOA and CILSS, in collaboration with other organizations, the forum brought together over a hundred participants from Africa and elsewhere. 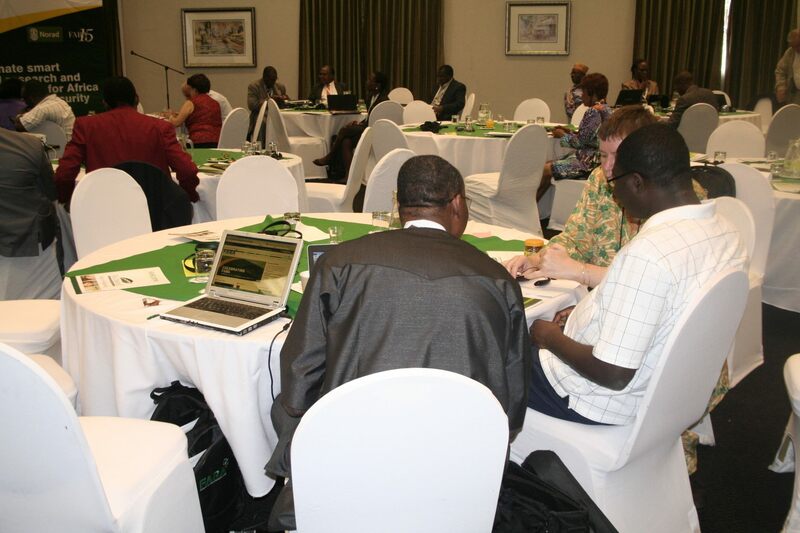 These participants who came to express their interest on the need to find a framework to think about the opportunities and challenges of climate change and identified a strategy to promote a climate smart agriculture (CSA) .The climate change, in fact, has continuously threatened the African continent especially the West African region that become very vulnerable to its consequences. CORAF / WECARD like 14 other participating organizations hosted an exhibition stand to share its activities. 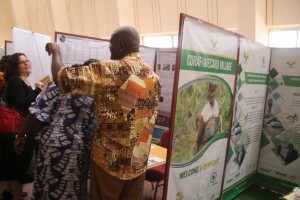 From 15 to 18 June 2015, in Bamako, the stakeholders and partners of the climate change issues came together to share their experiences and solutions especially in the context of climate smart agriculture (CSA). One of the main outcome of the forum is the effective implementation of the Climate smart agriculture west african Alliance. Like the other regions, the West African region face negative impacts of climate change that threatens its economy based on agriculture and even populations survival. A solution to face this danger is to adopt and put into practice the intelligent response to climate Agriculture, an approach which is to adopt tools and models to mitigate climate change or adapt to it. In order to tackle climate change, the Climate-Smart Agriculture (CSA) urges the scientific community to build evidence and design trajectories for multiple transformative transitions of climate-smart agriculture. 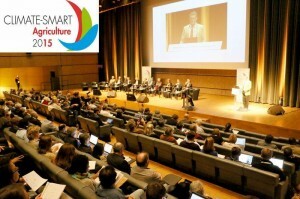 This was one of the findings from the 3rd Global Science Conference on Climate-Smart Agriculture held from 16 to 18 March in Montpellier, France. AfricaInteract in collaboration with key partner institutions including the African Climate Policy Centre (ACPC), Forum for Agricultural Research in Africa (FARA), Common Market for Eastern and Southern Africa (COMESA) and the CGIAR program on climate change, agriculture and food security (CCAFS) brought together a total of 35 African scientists and negotiators at the Eka hotel in Nairobi from 8-10th April 2015 to prepare technical submissions on issues related to agriculture gender, and land use sector for consideration by the UNFCCC - Subsidiary Body for Scientific and Technological Advice (SBSTA) at the forthcoming session scheduled for June 1 -11 2015. Following the two day meeting, two submissions, one on gender and climate change; and another on issues related to agriculture under SBSTA have been formally submitted to UNFCCC secretariat. Nairobi, Kenya (PANA) – Official estimates revealed Wednesday, on the sideline of the international conference on smart-agriculture research and climate change, that adaptation projects in sub-Saharan Africa will cost US$ 18 billion by 2050. The advisory board of AfricaInteract Project held its last regular session on March 13, 2015 in Nairobi at the end of the international conference that brought together all stakeholders and partners. Orientation member of the Continental AfricaInteract project, the Advisory Board consists of 7 members and 5 observers reviewed the results of the project, which ends after 4 years of implementation. 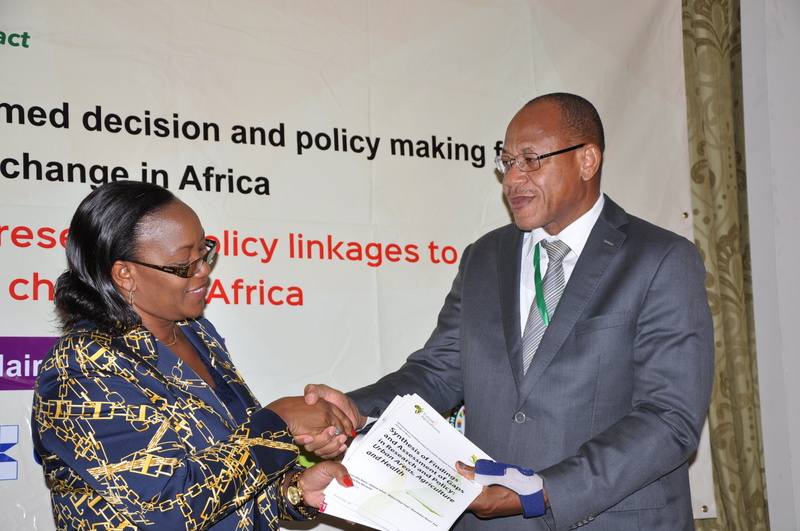 On the 10 March 2014, CORAF / WECARD officially launched the synthesis of reports on adaptation on climate change in Africa. 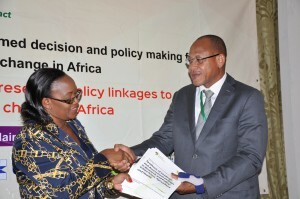 The synthesis contains findings and Assessment of gaps in research and policy: Urban Areas, Agriculture and Health ”.The synthesis was launched by, Ms. Cicily Karioki permanent Secretary of the Minister of Agriculture in the presence of the Executive Director of CORAF / WECARD, Dr Paco Sereme during the Opening Ceremony of the continental conference on climate that is holding from 10 to 12 March 2015 in Nairobi Kenya.